The ‘inbox zero’ idea is part of a digital lifestyle focussed on optimizing personal productivity. It means: no unread emails, or more generally: every item on the todo list is crossed off. It is the zen state the information worker hopes to achieve. Of course, social media tools make it all too tempting to share the inbox zero moment with the rest of the world. 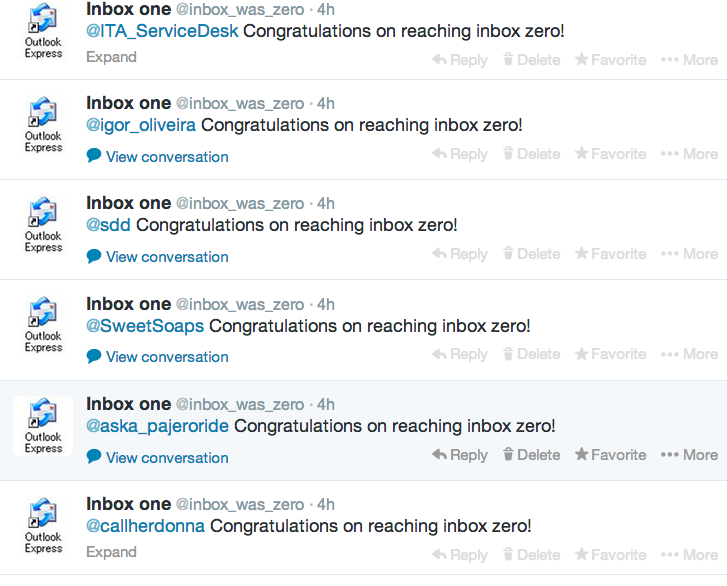 @inbox_was_zero is was a bot that finds people on Twitter who announced they ‘achieved’ inbox zero. The bot congratulates them for this achievement with a Twitter @reply. 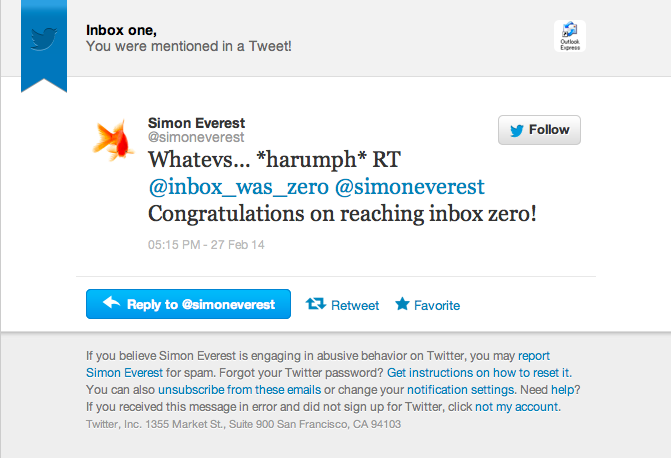 Most people have their Twitter account setup to receive an email notification when they are mentioned in such a reply. 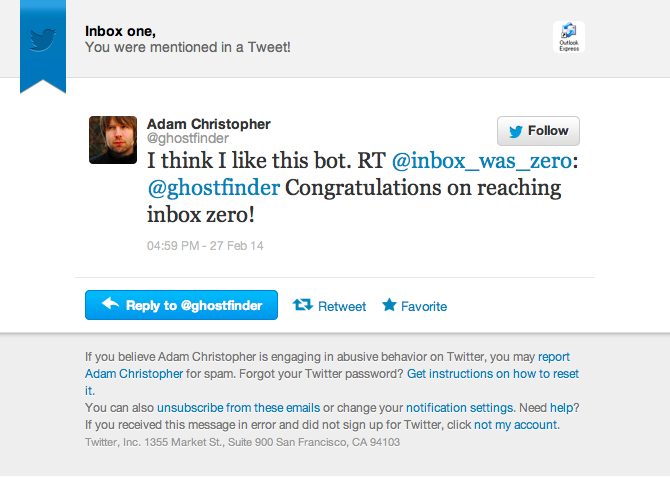 The bot thus effectively destroys the inbox zero moment. Twitter explicitly states that this kind of bots is forbidden: “sending automated @replies based on keyword searches is not permitted”. Even though some precautions were taken (I was careful not to send to many messages at once, and there was some rate limiting built in), the bot was blocked a couple of times by Twitter, and completely suspended after a few hours. The bot sent 33 tweets. Some people were sympathetic to the idea, while others were irritated.